Enoch Nkwe has opted to remain positive in the face of the indifferent 4-Day Domestic Series start made by the bizhub Highveld Lions as they prepare to take on the VKB Knights in Johannesburg from Monday. 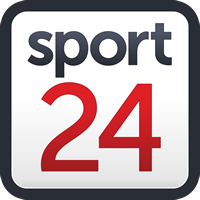 The hosts won their opening match of the campaign against the Warriors, handing their new coach a winning star, but they then suffered a disappointing loss to the World Sports Betting Cape Cobras in their second match last week. It has left them third ahead of the match-up with the Central Franchise at Bidvest Wanderers Stadium, but Nkwe is upbeat ahead of the game. “I was extremely disappointed, but sometimes it’s not actually such a bad thing especially after the strong start we made,” he reflected. “We know where we went wrong as a team, our batting did let us down in the first innings. “You know in red ball cricket, you really need to capitalise on the first innings. Our bowling was also inconsistent, so those are areas we’ve looked at. The Knights lost their opening match of the campaign to the Cobras, but then bounced back with a superb win over the Hollywoodbets Dolphins last time out. That result put them second on the standings after two rounds, with Nkwe wary of their threat. The Lions boss also wants his team to make the most of home advantage. “You can’t underestimate any team in franchise cricket,” Nkwe added. “The Knights have always been a good team and they showed that with the way they won the last game. We’re not going to take anything lightly. Knights coach Nicky Boje feels they have made a good start to the season, even though the results do not entirely show it. “We played some good cricket in both games,” he said. “I think the first one was very tight and could have gone either way. Boje felt that a good sequence of results starting with the trip to the Highveld could leave his team in a strong position come the turn of the year. “It’s three games in a row now, so the team that can get into winning positions and capitalise on those can put themselves into a very good position after the first round,” he stated.